We are a foster based rescue, not a shelter. Our mission is: to save the lives of abandoned, abused, misused, and unloved Pit Bulls and other bully breeds; to find loving homes for those that are homeless, medically rehabilitate the challenged, provide refuge for the needy, and educate the community on Pit Bulls and other bullies; and to advocate for the responsible care and handling of these dogs. We are determined to rid the city of the negative stigma involving Pit Bulls. After working for years with various Humane Societies, Rescue Groups, City Animal Control Services (ACS) and having rescue and rehabilitating successes, there were still many tears shed and broken hearts. Seeing countless abused, abandoned, and malnourished dogs is never easy, but through the years there was always one breed that was more prominent in shelters than others, the Pit Bulls. These often were the worst cases brought in (to shelters) or surrendered and the first ones to be euthanized due to various preconceived notions and uneducated decisions made on the behalf of these poor animals. We at Alamo City Pit Bull Rescue and Rehabilitation, have seen first-hand cases of unwarranted and undeserved deaths at the hands of shelters and careless/heartless dog owners. After years of seeing countless Pit Bulls being mistreated and the unfathomable actions of their owners, a dream was born: that one day Pit Bull/Bully Breed overpopulation (overwhelming animal control services and humane societies) and the daily atrocities that take place in neighborhoods and facilities, would come to an end! We wanted to offer: an alternative for these intelligent, sweet, and highly misunderstood animals; an alternative to their often predetermined doom; and a rescue group specializing in the rescue and rehabilitation of those Pit Bulls or aggressively bred dogs that otherwise wouldn’t have been afforded the chance to be shown a good life – a life full of love, warmth, and forever companionship. 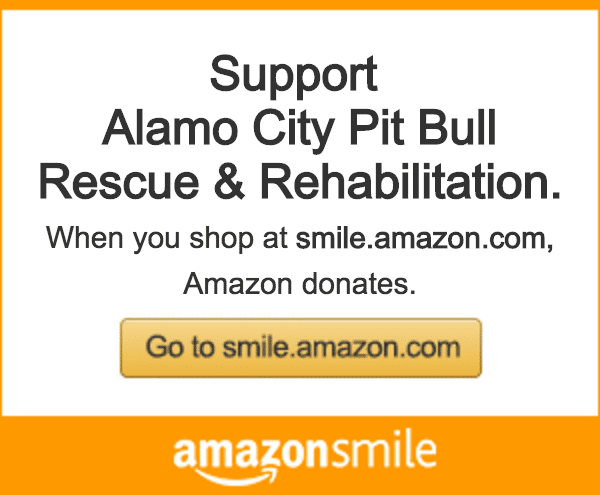 Through training, adoption, and low-cost spay and neutering, the goals of Alamo City Pit Bull Rescue and Rehabilitation will be met.